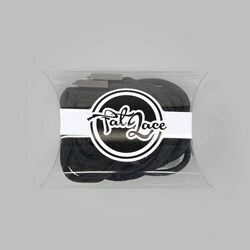 Fat Lace is one of the leading laces suppliers in the UK. With an unparalleled range of products, stretching all the way from Yeezy laces to ropes, in a multitude of colours, Fat Lace is the go-to option for any of your lace needs. Sometimes, the thing that can make a sneaker complete is a fresh pair of laces in a new colourways; you’ve simply got to experiment. Fat Lace is here for this experimenting!